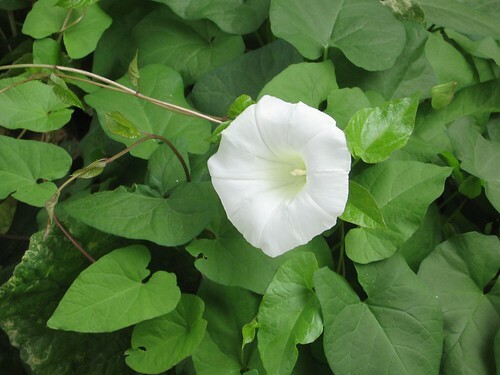 Hi, you have a lovely picture of a morning glory. This is a vining plant that can be trained to climb fences and trellises. Morning glories are available in other colours mainly pink tones. I’m rather partial to the heavenly blue morning glory. There is a picture of that in my archives on my blog, http://gardengnomewanderings.blogspot.com if you are interested. Morning glory, what a nice name !